ITHACA-FV (In real Time Highly Advanced Computational Applications for Finite Volumes) is C++ library based on the finite volume solver OpenFOAM . It consists of the implementation of several reduced order modeling techniques for parametrized problems. ITHACA-FV can also be used as a basis for more advanced projects that would like to assess the capability of reduced order models in their existing OpenFOAM-based software, thanks to the availability of several reduced order methods and algorithms. ITHACA-FV is designed for OpenFOAM 6.0, OpenFOAM 5.0 and OpenFOAM 1812 but it can be easily adapted also to other versions of OpenFOAM. Linear and non-linear algebra operations which are not already implemented in OpenFOAM are performed with the external library Eigen. The source code of Eigen 3.3.7 is provided together with ITHACA-FV and is located in the src/thirdyparty/Eigen folder. For the EigenValue decomposition it is also possible to rely on the Spectra library and the source code is provided in the src/thirdyparty/spectra folder. 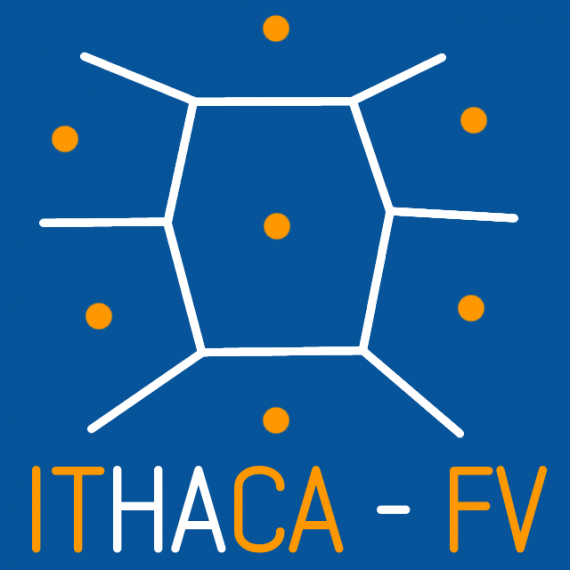 ITHACA-FV has been tested on ubuntu 16.04 but can be easily compiled on any linux distribution with a compiled version of OpenFOAM 5.0.
under the supervision of Prof. Gianluigi Rozza. Contact us by email for further information or questions about ITHACA-FV, or suggest pull requests. ITHACA-FV is at an early development stage, so contributions improving either the code or the documentation are welcome! This open source product is a deliverable in the framework of the project AROMA-CFD (H2020 ERC CoG GA 681447).